Heat oven to 425°F. In 13x9-inch pan, melt butter in oven. Meanwhile, in medium bowl, stir baking mix and water until soft dough forms. Place dough on surface generously dusted with Bisquick mix; gently roll in Bisquick mix to coat. Shape into a ball; knead 5 times. Roll dough into 10x6-inch rectangle. Cut in half lengthwise. Cut each half crosswise into 12 sticks, about 3/4 inch wide. Roll each stick in butter in pan. Bake 12 to 15 minutes. Serve hot. 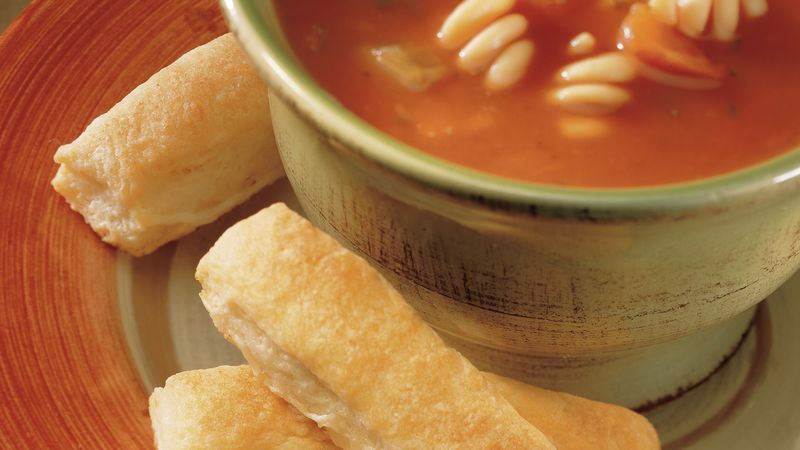 For tender breadsticks, knead in just enough Bisquick mix so the dough is smooth and no longer sticky. Too much will toughen the biscuits.